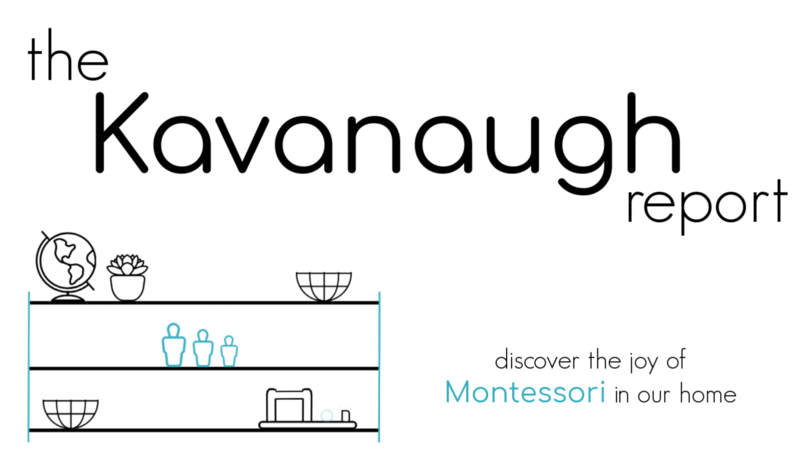 One of the first areas where we started to incorporate Montessori into our lives was in our play. For me, it was the most natural and easiest place to begin. This might not be true for everyone, but changing the way my child played naturally led me into wanting to learn more about Montessori and eventually change other areas of my home. But, the change didn't happen overnight. It was a slow process and one that I still feel like we are working on. 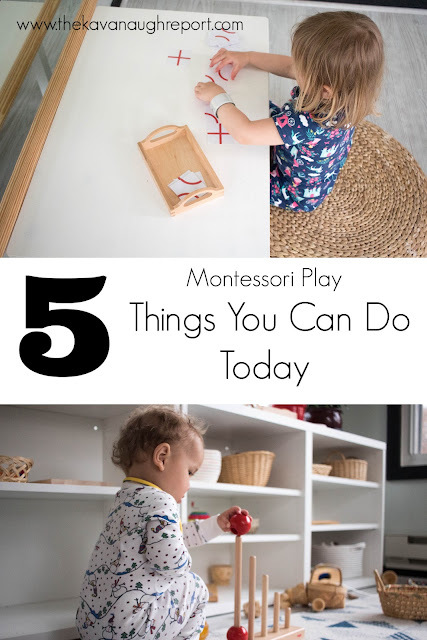 That doesn't mean there aren't things that you can do today to move toward Montessori friendly play in your home today! 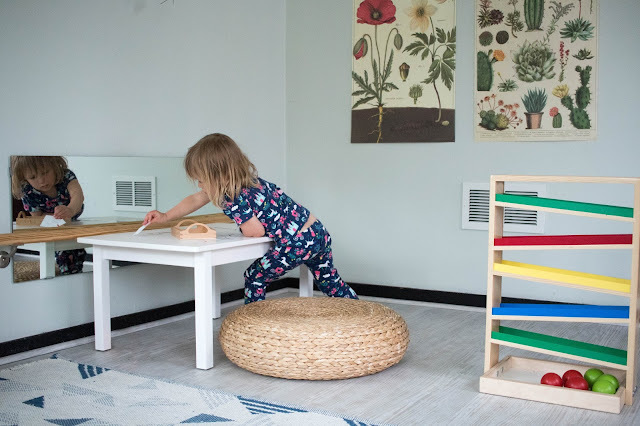 Here are 5 things you can do today to start to incorporate Montessori into your home through play! Observe your child at play! Take some time and make a conscious, uninterrupted effort to just watch what your child does when he/she plays. Don't intervene, don't judge, just watch. Let your child lead. 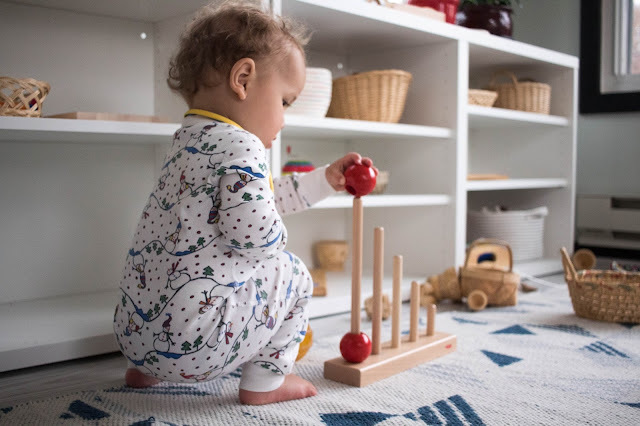 When you sit and play with your child, let your child decide what to play, how to play, and for how long to play. 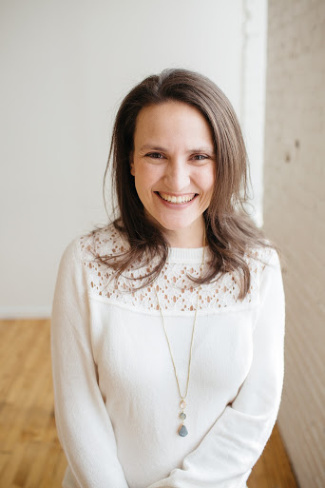 Don't try to lead the play by creating your own story, or hurrying your child to something else. 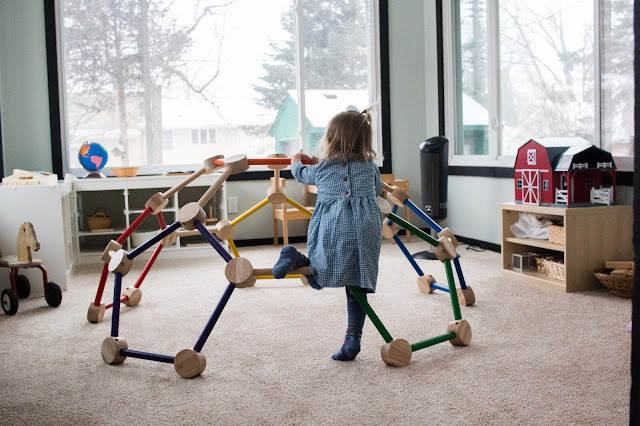 Look around your playroom and remove toys that haven't been used in the last couple weeks. 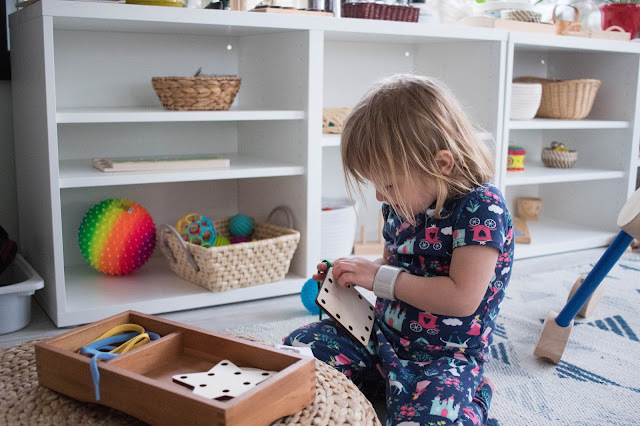 Then, think about whether they are no longer meeting a need/interest of your child or if they have too many materials to notice these toys. 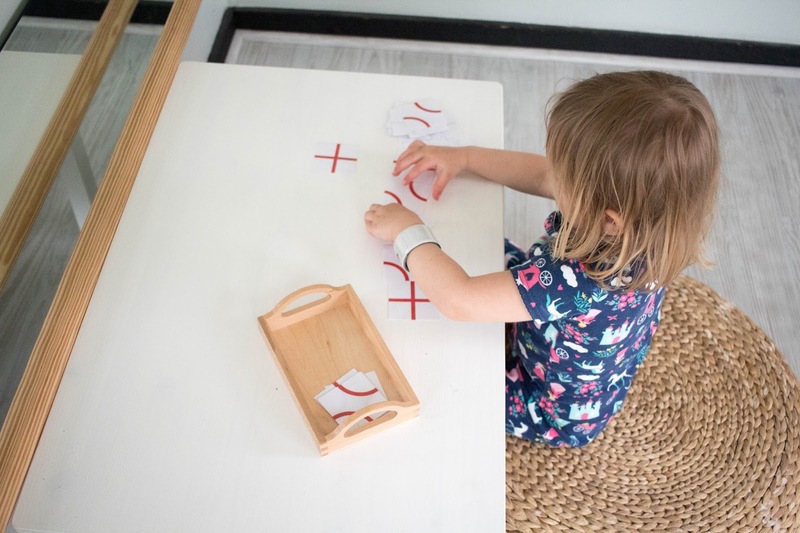 Find a tray or basket (it doesn't have to be perfect or fancy) and organize one toy! Place the tray basket with toy some where accessible (even if its on a table or just a spot on the floor). 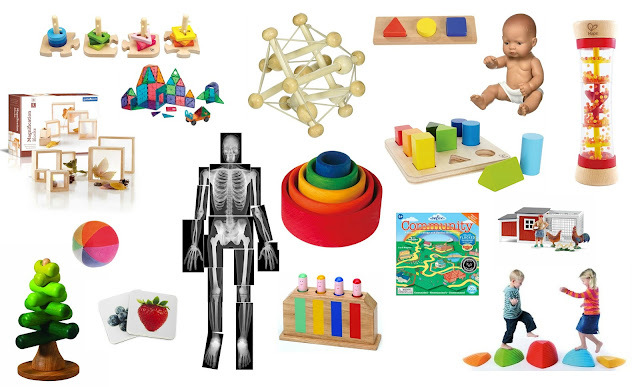 Add one non-toy that fills an interest in your child. It could be a couple of kitchen utensils for a baby to explore, some sticks for an older child to build with, an embroidery hoop and thread, or a stool to climb or jump over. I think I'll make some time to observe today too! Or maybe add something to our playroom. It's always a work in progress!